You would not know it from CAIR, but there are Muslims in the world who don't identify either with Saudi-UAE propaganda or with Qatari propaganda. This is a silly and boring story. Yet, it was on the front page headline of the Post and on the front page of the Sports section. There is nothing in the story except that the player is an Israeli. "Jordanians have long prized stability over greater freedoms, enduring austerity measures and a lack of political reforms for the sake of security." Forget about the terrible assumptions and premises of such a crazy statement, on what basis would a foreign correspondent living in Jordan reach this conclusion? Now bear in mind that Liz Sly does not know Arabic, she said: "“They were confronted by Karbala, Lebanon and the resistance,” he added". I was rather suspicious not only because i know of the bad record of the journalist in question, but also because this does not read well in Arabic. So I asked a Lebanese journalist and she asked a journalist who was there and she also asked the media office of the Hizb and both denied this statement. Liz Sly should really retire form journalism: a propaganda fellowship at Atlantic Council would be eagerly waiting for her, I am sure. How dare Hizbullah fighters not give their names and addresses to Liz Sly? How dare they not reveal their secret military plans to her? I think that Sly should report this to the Israeli military censor. You may think that the split of the GCC is now only between Qatar and the rest. In fact, there are several camps already: Saudi and UAE regimes are one front (Bahrain automatically follows SA), while Qatar is another front. Kuwait and Oman constitute a separate neutral front but is more inclined toward Qatar. Saudi regime started to take swipes at Kuwait neutrality. Also, the split between Saudi and UAE regimes is not new. 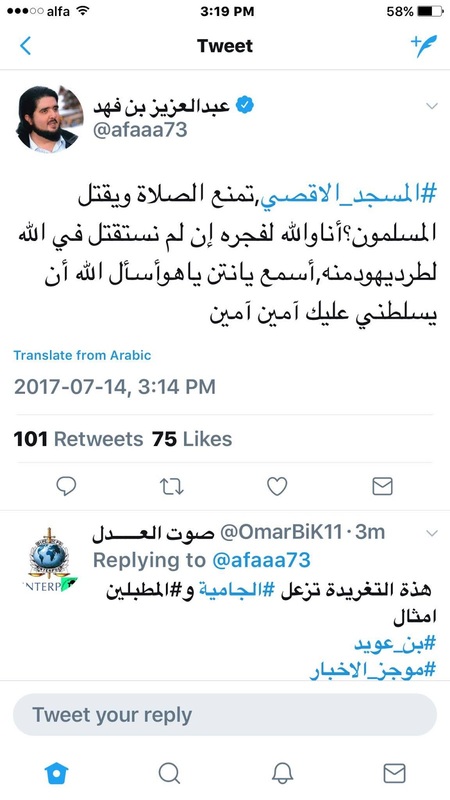 There has been a very popular hashtag in the last two days saying "Son of Fahd (in reference to Prince `Abdul-`Aziz bin Fahd) whips UAE, again" (it is in Arabic). This Saudi prince has basically been tweeting strong denunciations of the UAE and of Muhammad bin Zayid personally. This prince has also been very vocal in support of the Palestinians and even of "Jihad" on behalf of the Palestinians and is invoking past policies of the Saudi regime. This is a clear swipe at his own government. There also has been a very popular hashtag among Saudis saying: "Al-`Utaybah wants Saudi Arabia to be secular", this was a swipe at the UAE ambassador in DC as he said this week that Saudi Arabia wants to be secular. People were furious at this and `Abdul-`Aziz bin Fahd has the power to express opposition. Not sure how long Muhammad bin Salman will tolerate the opposition of this influential prince. It is said that Ahmad bin `Abdul-`Aziz is now the center of the royal opposition but publicly it has been `Abdul-`Aziz. Hillary Clinton is so boring that I was bored by just reading the title of her new forthcoming book. My weekly article for Al-Akhbar: "George Furayhah and Bashir Gemayyel: Preparation for "Sabra and Shatila" ". 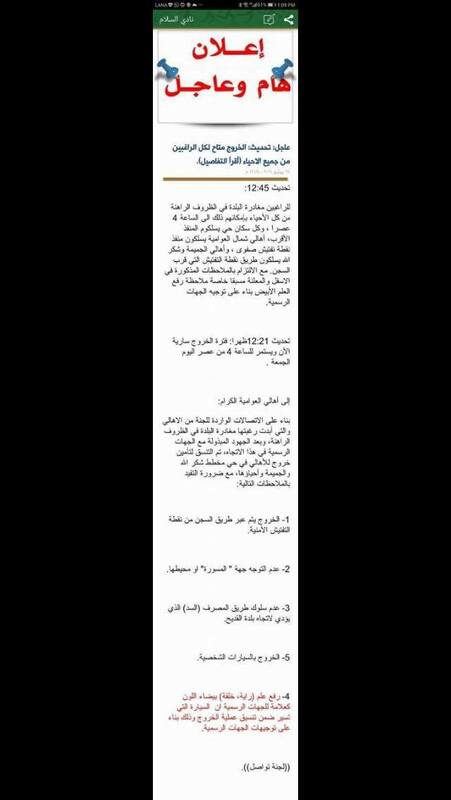 PS This is about a new book just published in Lebanon by George Furayhah on Bashir Gemayyel. Furayhah was one of the closest aides to Bashir (and he was married to his cousin). He was appointed chief-of-staff of Bashir after his installation by Israeli occupation as president. In the book, he published minutes of meetings (never published before in Arabic or Hebrew) between Bashir and Begin and Bashir and Sharon. In the meeting with Sharon (two days before Bashir's assassination) there was a detailed discussion of invading the Sabra and Shatila camps and perpetrating the massacres. This should serve as evidence (assuming there is international justice which there isn't as long as US rules the world) of Isreali-phalange complicity in the massacres, which were planned long before the assassination of Bashir. The notion that the massacres were a spontaneous reaction to the assassination should not be put to rest. While Human Rights Watch issues a special report expressing great concern about the plight of a Saudi prince, Saudi regime forces continue their invasion of Awwamiyyah: scores have been killed and injured. Families are being evacuated. 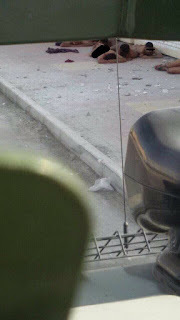 Men (Asian workers in this picture) are stripped naked in the street. I received those pictures. 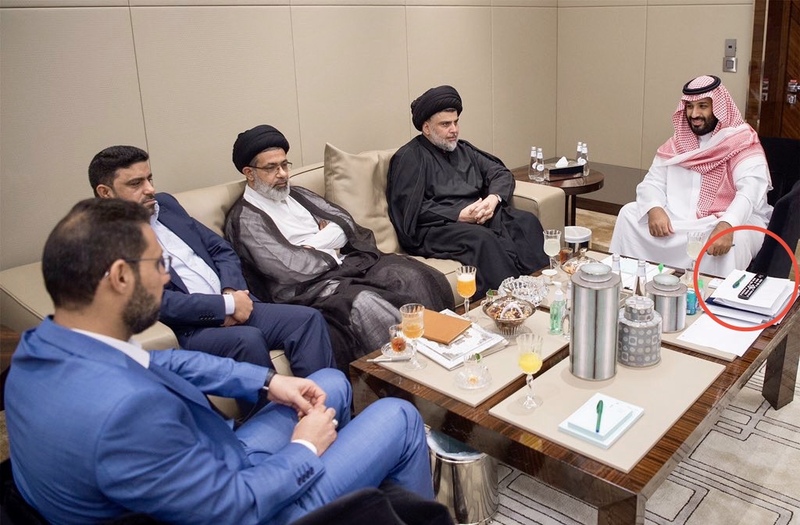 Western governments (and media) have a firm stance: they are in favor of state monopoly of armed groups unless 1) the government is not loyal to US; 2) if the militias are US/Gulf created. Other that, then yeah. Very much abasing militias. To me it is rather inexplicable the extent to which there is a (propaganda) obsession with Israel in American popular (especially--but not exclusively--film) culture. Michele and I have been watching the thrilling series Blacklist on Netflix (I love James Spader) and suddenly they throw in a Mossad agent. And it doesn't even make sense: there is a counter-terrorism FBI operation, and they invite an agent of a foreign intelligence agency to sit in and participate in US operations on US territory? Even in pro-Israeli US, this does not happen. And the character does not even add to the story--she in fact detracts from it (and fittingly, they chose an Iranian-American to play the role of the Israeli). And the story has to mention the Iranian nuclear program (but certainly not the Israeli nuclear arsenal--well beyond a program). But what is key is that those insertions of Israel into American popular culture were never innocent: they are often by design. 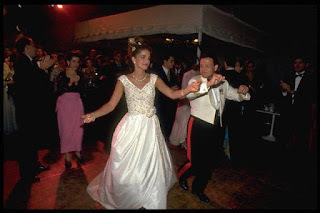 Arnon Milchan, the famous Hollywood producer (behind such hits as "Pretty Woman"--the disgustingly sexist movie), was revealed later in his life to be an Israeli secret agent who assisted in the Israeli nuclear program. Menahem Golan (the producer of most of the sleazy and trashy racist hits of the 1980s, like Delta Force series) was an Israeli too. And now I read that Netflix will be commissioning a movie about Ashraf Marwan, the Israeli spy. There was discovered a mass grave by Al-Qa`idah in Jurud `Irsal. Al-Qa`idah, as is now well-known, enjoys the sympathy and support of Israel and Washington, DC Zionists. "Yisrael Ariel, the chief rabbi of the Temple movement, articulated an apocalyptic end times scenario in 2015. “[God] is the one who commanded us to go from city to city conquering them, and to impose the seven laws [of the Sons of Noah] throughout the world,” Ariel said. 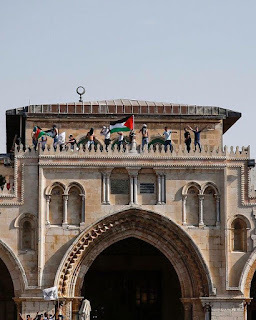 Ariel added that if Muslims and Christians “raise the flag of [surrender] and say, ‘From now on, there is no more Christianity and no more Islam,’ and the mosques and Christian spires come down,” then they would be allowed to live. “If not,” he warned, “you kill all of their males by sword. You leave only the women.” “We will conquer Iraq, Turkey [and] we will get to Iran too,” Ariel proclaimed. Ariel is the founder and head of the Temple Institute, the government-funded group that has published detailed blueprints and a computer animation of what the Temple, to be built over the ruins of al-Aqsa, will look like." "In order to do so, the film grossly downplays US involvement in the region, treating Saudi Arabia as though it acts independently of the US. It also fails to ever mention Israel, totally removing one of the most important players in the Middle East from its “Cold War” narrative." "Instead of challenging and informing the public, corporate media speak directly from the perspective of the CIA, and act as handmaidens to empire." "Venezuela President Assailed for Political Remix of Song ‘Despacito’"
It is not surprising that Western media (especially the Western correspondents in Beirut-one of the worst bunch of journalists ever assembled) would ignore Hizbullah's victory against Al-Qa`idah. Their sympathies are really with Al-Qa`idah. Also, Hizbullah's fight against Al-Qa`idah or against ISIS (and the fight between Russia and its allies against them) have been strictly ignored in order to create the propaganda myth (created by Gulf regimes) that those never fight except the "moderate rebels"--who have largely been the figment of the imagination of the Western correspondents in Beirut. A friend made the observation that Hizbullah fought differently when not hampered by the participation of the brutal Syrian regime on its side. 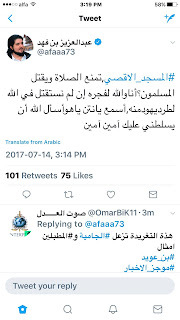 The was was concentrated against fighters (ignore those social media ramblings which could not even tell the difference between `Irsal and Juruda `Irsal (the fight was against the latter where Al-Qa`idah has been headquartered in Lebanon). Also, Hizb had an agreement with the less extreme among the Syrian rebels (like Saraya Ahl-Ash-Sham): Nasrallah said yesterday that those fighters were even allowed to go back to refugee camps and to their families in `Irsal. None of the warring groups in Syria (local and foreign) had those terms in the on-going war. Amnesty was even offered to Al-Qa`idah fighters if they surrendered. Nasrallah yesterday stressed that they won't touch `Irsal or the camps where Syrian refugees are located. And you can say this regardless whether you approve or disapprove of Hizbullah's intervention in Syria. But one thing is clear: the Zionist lobby prefers a terrorist organization like ISIS and Al-Qa`idah--both of which are strictly inactive against Israel--to any Arab resistance group which is focused on Israeli occupation and aggression. PS The worst parties in Lebanon against Syrian refugees have been the Maronite patriarchate, Lebanese Forces and the Awni Movement plus all municipalities (Sunni, Shi`ite, Druzes, and Christians) which have practiced blatant discrimination and repression against Syrian refugees. I lived to the day when the terrorists of Al-Qa`idah are now referred to by DC pundits as "pragmatist"
He assembled his son and his national security team today. 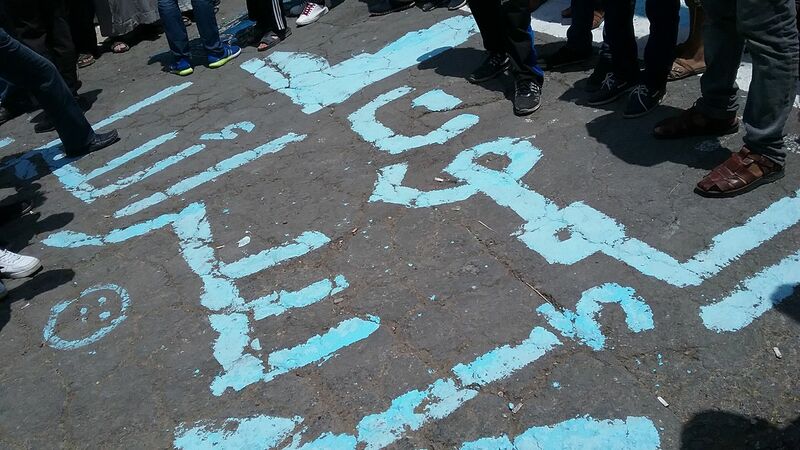 The anger in Jordan at the recent Israeli shooting at the embassy in Amman caused popular uproar. 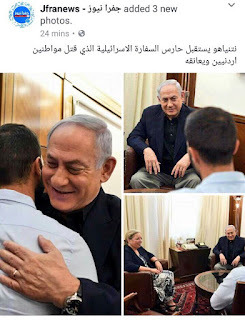 It was made worse not only with the whisking of the Israeli terrorist back to occupied Palestine but by the reception given by Netanyahu to the killer. 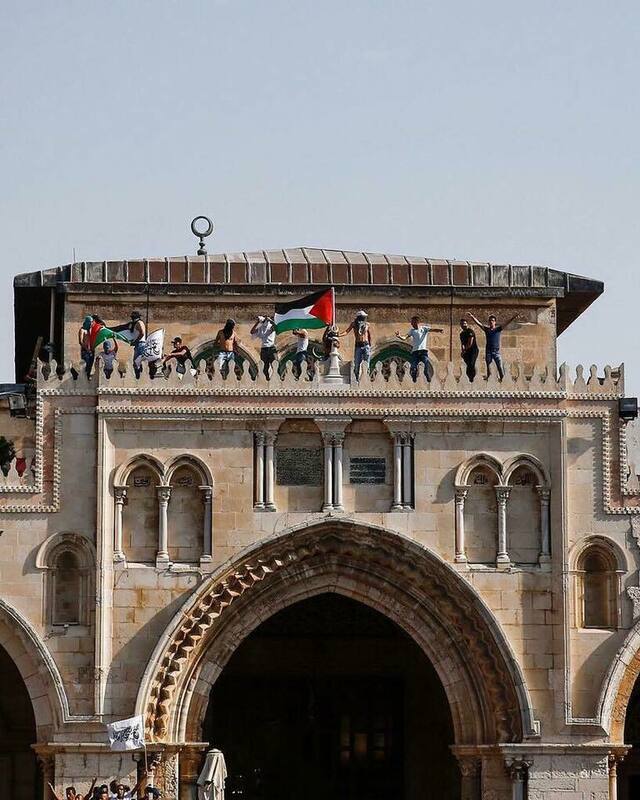 In the funeral of the Jordanian victims, there were calls for Jihad and for closure of the Israeli embassy. Now the King is trying to backtrack when it may be too late. PS Forgot to mention that he cut his US vacation short. It is unusual that Prince `Abdul-`Aziz bin Fahd is allowed to tweet strong insults against Muhammad bin Zayid. Also, he has been tweeting calls for Jihad for Palestinians. Muhammad bin Salman is not strong enough within the royal family crack down against him. 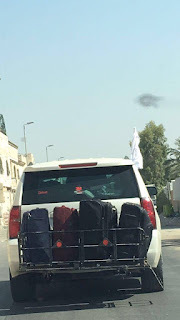 When people are being beheaded in public squares in Saudi Arabia, and thousands languish in jail, long prison sentences are issued for the crime of tweeting (or even retweeting), and when regime goons are shooting at civilians almost daily in Qatif, Human Rights Watch issues a special report expressing its concern over the plight of a prince. PS Of course, the irony is that Muhammad bin Nayif has an atrocious record in human rights violations. What does it take for someone to write in Newsweek Magazine? The ability to be stupid? Is that it? "He even directly challenged Hezbollah on its home turf a day after its recent provocative tour on Israel’s border, by carrying out the first official visit by a Lebanese prime minister to south Lebanon in decades." (thanks Basim) Every prime minister has visited the South since I don't know when. 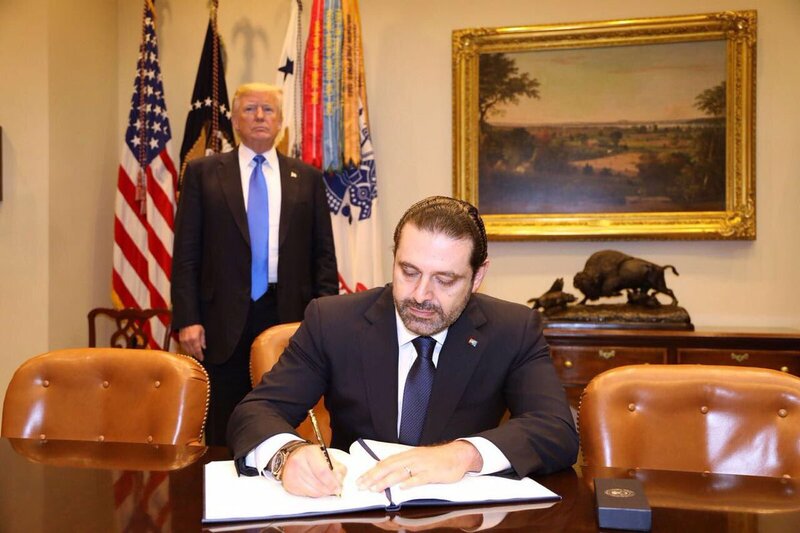 The prime minister of Lebanon today transferred what is left of his fortune to Donald Trump. 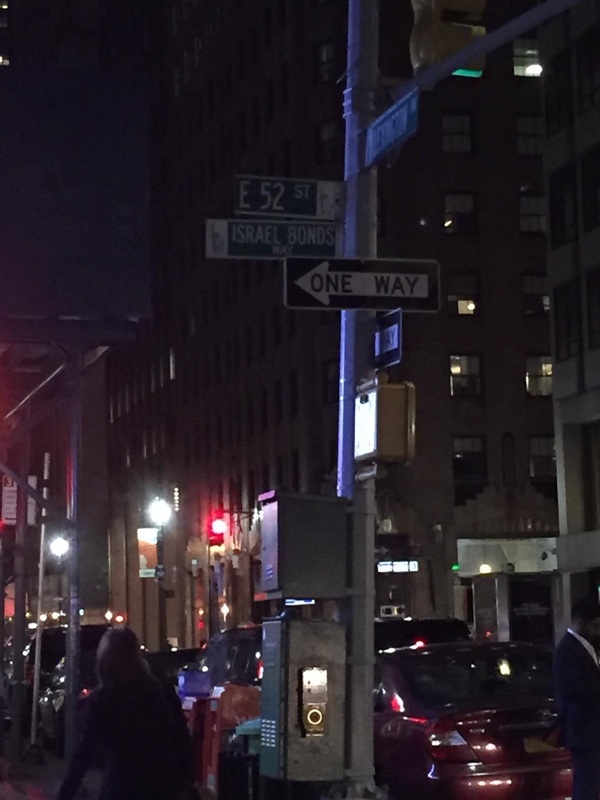 American obsession with Israel and its crimes: do you know that there is a street in NYC named after Israel Bonds? I never knew that there is freedom on Saudi social media until I heard this. When will they stop teaching and practicing hate? Who will change their curricula? Look at the pictures here and notice how violent protest is treated very differently in Western media depending on the policies of the target government. "“The weapons and resources the CIA provided were very little when compared with what Russia and Iran have sent to the regime,” Salameh said." Who killed whom in Syria? I am now confused. All along we are told that Bashshar killed 300,000 of "his own people". And now David Ignatius is bragging that: "One knowledgeable official estimates that the CIA-backed fighters may have killed or wounded 100,000 Syrian soldiers and their allies over the past four years." That would be a 1/3rd of all people killed. But to kill 100,000 Syrian soldiers and "their allies", how many civilians were killed among them? Would that add like another 100,000? or Less? Not sure. I don't understand: why can't the Chinese government leave alone US spy planes in East China Sea, close to US shores? "A United States Navy spy plane had to take evasive action to avoid crashing into a Chinese fighter jet that suddenly pulled up in front of the American plane in contested skies above the East China Sea on Sunday, the Pentagon said." See how the Sudanese people responded. "US Praises Sudan’s Efforts in Combating Terrorism". Where are the Darfur groupies when you need them? "it is certain that we will be called upon once more to go through the not very rewarding process of convincing the Lebanese that Charles Malik’s promise of “unlimited, unconditional American aid” is a figment of Lebanese political imagination." Richard Dawkins talks about the punishment of apostasy as one of the main evils of Islam today. Who is doing this punishment for apostasy really? Can you give us examples? This is like faulting Christians today for the crusades. So among his many insults on Islam and Muslims is this: "I think Islam is the greatest force for evil in the world today". Aside for the insult, I don't understand how an avowed atheist "preacher" like him would use the world "evil". I was not surprised or furious that KPFA-Berkeley would be hosting Richard Dawkins. I have had a very long association with KPFA and was a very frequent guest in their studios especially in the years when I lived in Berkeley. But KPFA has changed over the years and management did not treat the staff well and there were deep organizational and political divisions, and the station drifted less progressive. For that, I was not really surprised that they would invite Dawkins for a fund-raisiner. Can you imagine if they were to invite an anti-Semite (and Dawkins is the equivalent of an anti-Semite) for a fund raiser? Al-Quds Al-`Arabi, one of the most sectarian Arabic newspapers publishing today is clearly and unabashedly pro-Al-Qa`idah, especially toward the Syrian branch of the terrorist organization. would have been more useful. It says "death to Israel". Yesterday there was a very popular hashtag in Saudi Arabia in defense of Muhammad bin Nayif and against the leaks by Muhammad bin Salman about his drug addiction. He has no background in Middle East studies (he has a degree in English) and has covered Hollywood and NYC prior. That--by the standards of NYT--makes him supremely qualified for the stint. It is not clear if he has a son--as the New York Times tradition--serving in the Israeli occupation army. "Yesterday in Baghdad, Iraqi actor Karar Nushi was murdered due to rumours of his homosexuality." We still don't know why he was killed and there is no evidence that he was killed because of his looks or whatever orientation. The article is based on wild exaggerations and unsubstantiated claims--but exactly what the West loves about writing on gender and sexuality in the region. I watched the latest video of Mashru` Layla, titled Roman. It appears to me the product of a classical Orientalist fantasy, or an attempt to produce music which an Arab imagines Westerners would like (in fact, Rabi` AbuKhalil (no relation) made a career of producing music that a Westerner would like Arabic music to sound like). And why does the Arabic in the song sounds like as if it was spoken by a Lebanese immigrant in San Paulo who has never been back in many decades? "During the campaign, Mr Trump reportedly bragged to influential guests about how many successful Lebanese friends he had. Lebanese-American businessman Thomas Barrack, who spoke at the Republican convention, is one." "Ever since the leading pan-Arab newspaper, Asharq al-Awsat, launched in Britain in 1978, London has served as an Arab media hub. Fleeing the censors at home, journalists found freedom in exile." Ash-Sharq Al-Awsat is the leading Saudi regime propaganda outlet. It is the epitome of censorship and sends the signal to other Saudi regime propaganda outlets on the new ever-changing rules of censorship. In fact, it was launched in 1978 for a simple reason: the Saudi royalty was spending so much time in Europe and they wanted a daily Arabic newspaper because they could not read the daily foreign press. Worse: the Economist then adds this: "Al-Hayat, was once lauded as the most professional of Arab newspapers, but now tends to toe the line." If you read Arabic you will wonder in amazement at this: when did Al-Hayat (the mouthpiece of Khalid bin Sultan since 19991) NOT toe the line? I thought Western media trust blindly the Syrian Observatory for Human Rights? For the last few years, Western media have been copying religiously whatever claims made by the Syrian Observatory for Human Rights. Yet, I noticed that none of the Western media copied the last release from the observatory in which it estimated that US-led coalition in Syria has managed to kill 9274 Syrian civilians since September 2014. Is that not news for you? Can you imagine the uproar if that was by Russian bombing? Can you imagine the tears of the Western correspondents in Beirut? What is the US stance about the war between Hizbullah and elite Al-Qa`idah forces in Jurud `Irsal? I am certain that although Al-Qa`idah was behind the biggest terrorist attack in the US ever, the US government and Congress are sympathetic to Al-Qa`idah against Hizbullah in the on going-war simply because Israel sympathizes with Al-Qa`idah (it is amazing how Israeli assistance and cooperation with Al-Qa`idah was not a big story in US media). As one Arab journalist said on TV the other day, the Al-Qa`idah terrorists in `Irsal's jurud constitute the elite force of this organization. 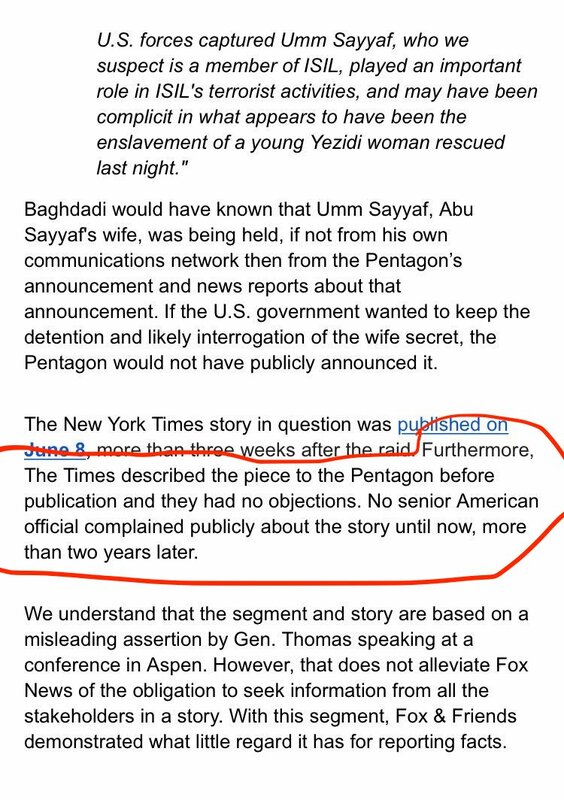 "The Pentagon raised no objections with The Times before the story was published". My weekly article in Al-Akhbar: "Was the 1967 Defeat a Destiny? Zionist Historiography and Schadenfreude". Was it painful for Western correspondents in Beirut? Was it painful for Western correspondents in Beirut to see footage of the flag of Al-Qa`idah being taken down from Jurud `Irsal? Was it? Here, Newsweek, being keen on having the Arab and Islamic views represented, it asked this guy to write on the subject of Jerusalem. Who is he? It says: "Mohammed Kaabiya is a strategic advisor on the Arab world to Israel’s Ministry of Foreign Affairs." Do you have doubt that in the war between Hizbullah-Lebanese Army against Al-Qa`idah-ISIS, that the Western correspondents in Beirut are cheering Al-Qa`idah? "Trump ends covert CIA program to arm anti-Assad rebels in Syria"
So Israel summoned the Western media and told them that it is humanitarian and shipping aid to Syrians near the border with Golan. Of course, in such cases, all US media oblige and report verbatim what they are fed by Israeli professional propagandists. This reminds me of how US media reported Israeli role in the Lebanese civil war (and reporters back then were less misinformed and less pro-Israel): Israel would report that it is delving aid to the "Security Zone" near the border with Lebanon, while not reporting to the press about its shipment of bombs and arms to the right-wing death squads of Lebanon. Look how NYT and WP reported the same Israeli propaganda talking points. "The Saudi-led coalition fighting Houthi rebels in Yemen prevented a U.N. flight carrying aid agency staff from traveling to the Houthi-controlled capital, Sanaa, on Tuesday because three international journalists also were aboard, aviation officials said." Can you imagine the uproar if this was an anti-US regime? HRW would have released four reports on this incident. Basically, while Western media continue to coverup abuses and tyranny in Gulf countries, UAE and Saudi Arabia managed to silence every single Twitter and Facebook account except the vulgar and cheerleaders of the despots. When Sultan Al-Qassemi becomes silent on social media, you know the extent of repression. Of course, Igantious would not report on the same phenomenon by his friends, the ruling tyrants of the Gulf. 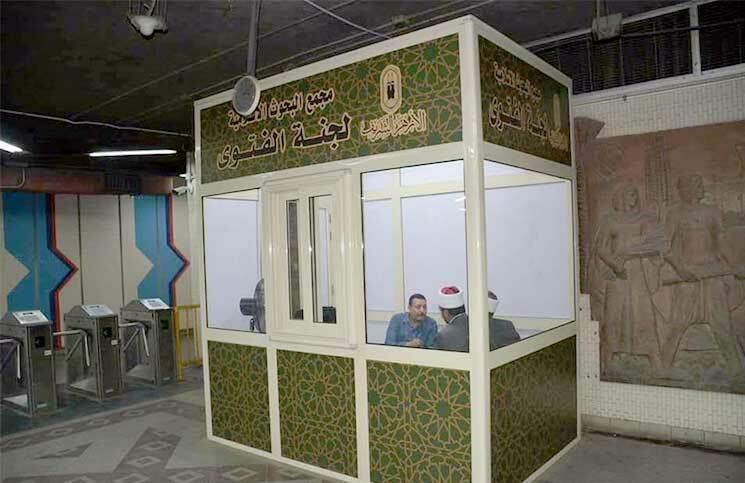 Western media are clueless: you don't think that Western embassies in the ME do the same to Arab visa applicants? Of course, the journalism of the Economist, especially on the Middle East, has been steadily deteriorating over the years. Its correspondent in Beirut is now indistinguishable form other Western correspondents in Beirut (which was not the case a decade or more ago). Look at this article which blames the drug smuggling of Captagon to Hizbullah: "But an investigation by the Institute for Middle East Studies at George Washington University concluded in 2015 that the only faction systematically involved in producing the drug was Hezbollah, an Iranian-backed Lebanese militia." Investigation, here is the paper cry the GWU's Institute of Middle East Studies. There is no investigating whatsoever, and the paper merely cites previously published material, which in turn did not "inevestigate" the matter and did not cite one credible source. Here is what the Institute of Middle East Studies cite: "Elizabeth Picard’s chapter on the political economy of Lebanon during and post-civil war provide a relatively clear and concise background on the relationship between Hezbollah and the Lebanese government, as well as a description of Hezbollah’s record of involvement with the drug economy.57 A joint article by Boaz Ganor and Miri Wernli takes this history and brings it to the present issue of Captagon, connecting Hezbollah’s activities in the Bekaa Valley with production of the drug in the region following the 2006 war with Israel." Picard does not in turn one source of her chapter the book edited by Steve Hydemann, War, Institutions, and Social Change in the Middle East. She cites the pro-Saudi newspaper, Al-Hayat, and rumors. And I never understand why and how do scholars "investigate" financing of terrorism or matters of drug trade and such. These are issue for lousy journalism and lousy journalism are better suited for this type of writing. And Picard, whose previous work on Lebanon I have respected, talks about some weird association of Hizbullah being involved with a `Alawite party in Tripoli in drug, when that party was closer to Amal Movemnet.But what about the second source cited by the Institute? What about The article by Ganor and Wernli? Here is what the article says about it: "While no direct connection between Hezbollah and Captagon within Syria has been uncovered, there is enough correlated evidence to say there is a high probability that Hezbollah is one of the major Captagon producers and traffickers. Although Hezbollah likely is the major producer and distributor in the area, there is significant evidence suggesting that other actors in the region are producing smaller quantities. Hezbollah has a long history of actively participating in the production and sale of illicit drugs. Hezbollah’s home state, Lebanon, has been both a transit point for drugs moving from the eastern to western markets, as well as a source location for hashish and opium.47...This, combined with their prolific involvement in the country’s civil war, suggests a correlation between this past activity and the current production out of Syria. Additionally, Hezbollah has an established global network and experience in managing the logistics necessary to maintain not only its fighting forces, but its fundraising and humanitarian efforts. Hezbollah’s experience and resources make it the ideal organization to set up and manage the operations necessary for a Captagon enterprise to be successful." With this we now can know something not only about documentation by the journalism of the Economist but also about the research standards of the George Washington University's Institute of Middle East Studies. Also, what is striking about this genre of writing about the topic of Hizbullah and drugs is that NONE OF THOSE SOURCES EVER MENTION that Nasrallah personally made speeches against the proliferation of drugs in Shi`ite areas and against Captagon. Furthermore, those article politically conveniently leave out a major fact about the topic: that many of the drug dealers of the Biqa` Valley are in fact politically aligned with Amal and not with Hizbullah. But what the hell: Saudi and Israeli propaganda want to drag Hizbullah into it. Having said all that: I am not denying or asserting but merely stating that I have not seen evidence, and I encountered before how lousy Israeli propaganda used to make unfounded allegation that Arafat and the PLO were involved in drugs in Lebanon (when it was the Syrian regime and its intelligence and army who were involved). 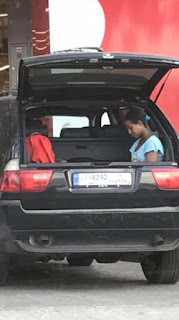 For a sobering treatment of this issue, read the (journalistic) book by Jonathan V Marshall, The Lebanese Connection: Corruption, Civil War, and the International Drug Traffic, " published by Stanford UP. PS The sources for Picard and all the rest on this is clear: the propaganda apparatus of Hariri family in Lebanon and the Saudi regime media. They have been claiming this along with Israeli and Zionist media. 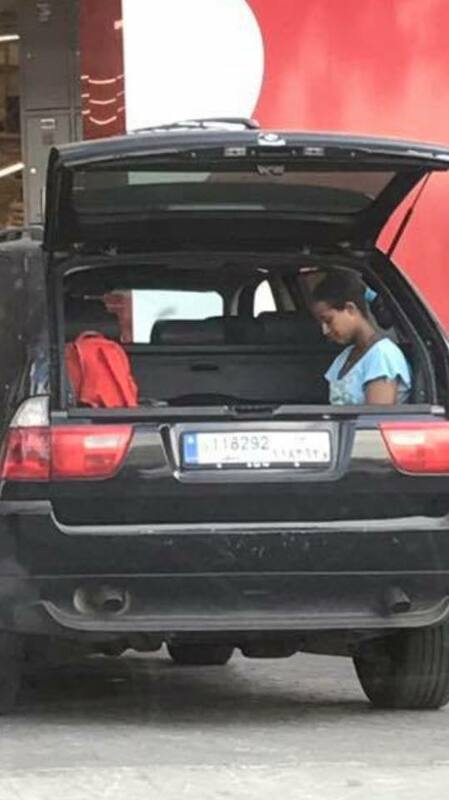 PPS Notice that the Economist missed the biggest element of the Captagon story: that a Saudi prince was caught at Beirut Airport while smuggling the largest ever shipment of Captagon into Saudi Arabia. "“They want to convert all of Syria to Shiism". That pretty much sums up the situation. Thanks for listening. On January 8, Syrian militants affiliated with ISIS conducted a drive-by shooting at the house of an ISF Information Branch officer near the town of Aarsal. The killing was reportedly in retaliation for the officer’s undercover work against ISIS in Aarsal. On April 12, unknown militants assassinated a senior Fatah official with a bomb outside Ain el-Helweh, Lebanon’s largest and most volatile Palestinian camp. On June 12, a bomb exploded outside a Blom Bank location in downtown Beirut, damaging the bank’s structure, but causing no injuries. The bomb was widely considered to be a message from Hizballah to the banking sector over implementation of Central Bank circulars focused on Hizballah. On June 27, a series of eight suicide bombings killed five people and wounded at least 28 others in the Christian village of al Qaa in the Bekaa valley. It is unknown who perpetrated the bombings. On August 31, a bomb outside Zahle killed one person and injured several others in the Bekaa Valley. The bombing was thought to be targeting Shia participants traveling to an Ashura celebration event in Southern Lebanon." PS And not that the bulk of terrorism is by groups opposed to Hizbullah. He has determined (based on anecdotal evidence in an article in the Times about cellphones) that Muhammad bin Salman is wildly popular: "His programs, including increasing entertainment opportunitiesinside the hyperconservative kingdom, have won him fans among the two-thirds of Saudis who are younger than 30." He does not qualify his statement by saying that not being a fan will get you a jail sentence in the kingdom.
" “We need to cut their heads off, ” then-President George Bush said of violent anti-western protests in Syria in 2006, former Israeli foreign minister Tzipi Livni said last month in Washington." "Airwars researchers estimate that at least 2,300 civilians likely died from Coalition strikes overseen by the Obama White House—roughly 80 each month in Iraq and Syria. As of July 13, more than 2,200 additional civilians appear to have been killed by Coalition raids since Trump was inaugurated—upwards of 360 per month, or 12 or more civilians killed for every single day of his administration.” "
"“The weight of the evidence I have seen is that he was more injured in the assassination attempt than was admitted and that he then got onto a pain killer routine that was very addictive,” said Bruce Riedel, a former Central Intelligence Agency officer and director of the Intelligence Project at the Brookings Institution. “I think that problem got progressively worse.”" I started to notice this guy back in the 1990s, when in an interview with Middle East Quarterly he said that the Arab people are not bothered by the US-impoised sanctioned on Iraq. I said to myself: this is a clueless analyst and you need to pay attention to him. Here, he is using his medical training to offer a medical opinion on a purely medical case: on whether Bin Nayif was or is addicted to painkillers. When he says he has "seen" the evidence, what does that mean? Was he made to watch as Bin Nayif popped pills? Or was he offered a video in which Bin Nayif was seen buying a large amount of drugs? DC Punditry is now worse on many levels (professional and ethical) than US journalism. At least Reuters in the report on the succession today was reserved and said that it could not judge whether bin Nayif was addicted or not. By the way, this clerical kook is Saudi regime's answer to ISIS. He once called for "mincing" Alawites. "Hundreds of Marines are manningfire bases in northern Syria. This intervention resembles a slow-motion invasion." Is the Israeli occupation army a defense army? "...although the Israeli Army's official title is "the Israeli Defense Forces," it is not a defensive force...the most visual manifestation of the new approach...is the lack of fortifications and fences along the borders...simply put, the Israeli Defense Forces are an aggressive offensive-minded fighting force. The Israeli military implements this approach in its thinking, planning, and Modus Operandi. [The offensive values] run in [the military's] DNA and [are] inscribed in the marrow of its bones." Cited in the lousy book, Laron, Guy, The Six-Day of War: the Breaking of the Middle East, Yale UP, p. 275). "'If there is a war, we will annihilate Lebanon's infrastructure'. Former Defense Minister Ya'alon says Iran runs Lebanon, promises Israel will destroy Lebanon completely if war breaks out." 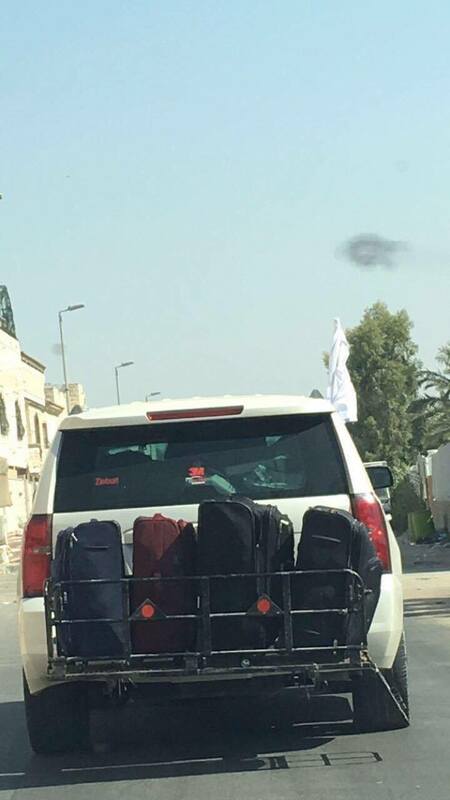 Can you imagine if this horrific threat was made by an Arab against Israel? When are Western Zionist media sympathetic to Palestinians as victims? Western Zionist media are only sympathetic to Palestinians as victims in two cases: 1) if the Palestinians happen to be collaborators with Israeli occupation and terrorism; 2) if the Palestinians happen to be killed by other Palestinians. When Palestinians are killed by Israelis (which is the norm and not the exception), Zionist media could care less. "Is there a role for political Islam in the modern world? Qatar says yes. The UAE counters that Islamist agitators are the enemy of tolerance and modernity." He talks about UAE and Saudi Arabia as if they are enlighten secular republics and as if they are models of tolerance themselves. Also, notice his reference to "reform" in Saudi Arabia. Only he can see it. I asked an Arab colleague/comrade who is an expert on China to comment on this story. He wrote: "There is an interesting side story here not on the radar: alot of Chinese are coming to realize that Israeli innovation claims have been exaggerated and that the technological gap between the two sides is not as big as the Israelis make it seem. I suspect in a decade or so even this Israeli "selling point" as a start-up nation will be moot for the Chinese. I heard this repeated in different contexts in Beijing during my last visit - intentionally and inadvertently. Additionally, Israel cant escape from the specter of its conjoinment with the United States, and given the trajectory of Sino-American relations (and to a lesser extent, Sino-Indian relations) are taking, they wont be able to build up the influence they seek. There is, weirdly enough, an undercurrent of anti-semitism at play (which bounces off the equally weird philo-semitism you see among some elites) in China. " We are back to the tale of "moderate Syrian rebels"
I recommend that Tim Arango be made Iraqi TV critic. Sure, he does not know any Arabic but he comments on contents of Iraqi TV stations. "In a post on Instagram, which doesn't actually mention Israel by name, Stipe wrote: "I stand with Radiohead and their decision to perform. 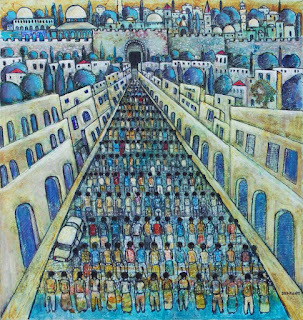 Let's hope a dialogue continues, helping to bring the occupation to an end and lead to a peaceful solution. Sincerely, Michael Stipe." 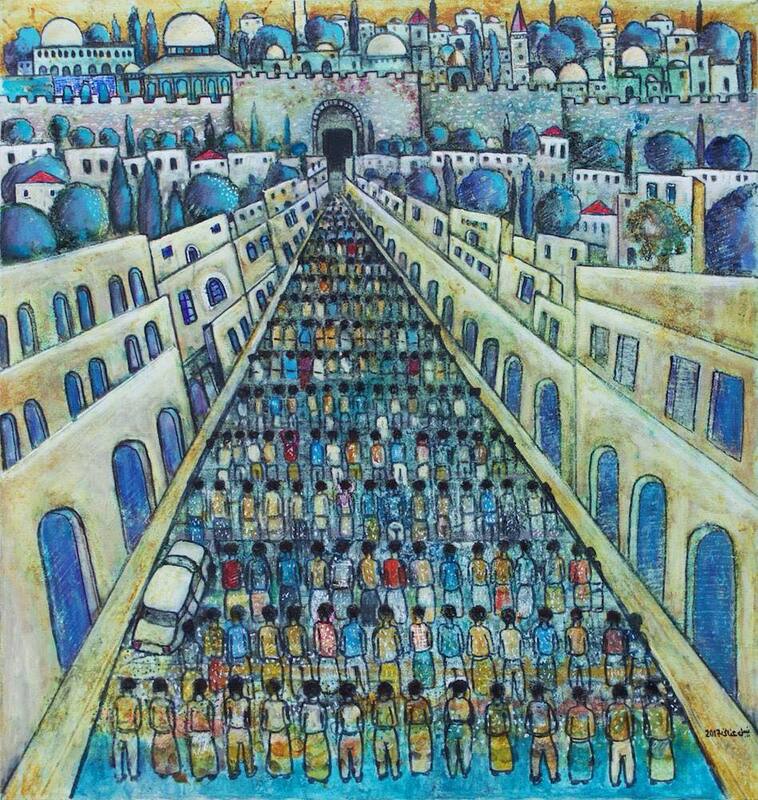 Avi Shlaim, a huge fan of King Husayn (and also of Rabin, of course), betrays more than a tinge of colonial racism in this line: "a modest experiment in Palestinian self-government". So the Palestinians are not a mature people and thus it is required that they go through an experimental period of self-government? Also, notice that he believes that Palestinian "violence" was a "contributing factor" to the collapse of Oslo, but says not a word about Israeli terrorism. And this is considered Zionist revisionism. If this is Zionist historiographer revisionism please bring me back classical Zionist historiography: at least it makes no pretenses. His only criticisms of Oslo is that bad faith of Netanyahu--one person in Israel. PS The article is from 2013, and it was terrible then as it is terrible now. #Israel realizing that #Moscow lacks the leverage/will to secure a neutral ceasefire. I don't need to know Arabic because the Israeli objective website, MEMRI translates Arabic media for me. What is amazing is that despite the sacrifices of many Iraqis--Sunnis and Shi`ites, Kurds and Arabs, Christians and Muslims--in the fight against ISIS, the US media and politicians are engaged in self-congratulations convinced that the difference in the fight against ISIS was not made by the tens of thousands of Iraqi fighters but by the 5000 US soldiers in Iraq. Notice that the role of Russian bombing in Syria aghast the economic infrastructure of ISIS (which really started the process of the demise of ISIS) is always obscured. Personally, I am not a fan of the way the fight against ISIS in Mosul or in Syria has been managed. Both US and Russia have been careless in respecting the lives of civilians. "Turn on the television and channel after channel broadcasts programs sympathetic to Iran." And how were you able to understand the channel broadcasts in Arabic, Mr. Arango? Also, there is a big flaw in the premise of the article: that Iranian influence in Iraq is a matter of conspiracy and devious machinations. He (and most Western journalists) can't understand that many Iraqi Shi`ites (if not most) genuinely identify with Iran for political--and even religious--reasons. This is the way also in Lebanon, whether you--Western journalists--like it or not. "it saw Iraq as a potential cornerstone of a democratic and Western-facing Middle East". You read this and think: poor Israel. "Hezbollah, the military and political force that dominates Lebanon and threatens Israel." He irresponsibly refers to tens of thousands of Iranian construction workers in Iraq as "spies": "Iranian construction workers — many of whom are viewed as Iranian spies by Iraqi officials". Can you imagine the uproar if someone were to say that "Americans in UAE are thought to be spies" or that "Israelis in Europe are thought to be spies"? Can you imagine the uproar? What evidence is there to make that case? Just because some Iraqi politicians on Saudi regime payrolls said this? This is so dangerous because the pro-US March 14 Movement in Lebanon said the same about Syrian workers in Lebanon back in 2005, and that led to hundreds of cases of workers being lynched and stabbed and attacked throughout the country. The lies of Tim Arango's article on Iraq: so why was Hoshyar Zebari fired as Finance Minister? Hoshyar Zebari tells Tim Arango that he was fired as Finance Minister because Iran wanted to get rid of him because he is close to the US. In fact, the liar Zebari never ever accused Iran in Arabic being behind his ouster. Tim Arango, who knows about the Arab world and has studied the Arab world as much as I know and studied Belgium politics, believes whatever he is told, provided those who are speaking are pro-Saudi Arab politicians. In all Arab media, including this Saudi regime medium, all told details about the massive corruption, and mansions (notice he mentions his mansion in the article), and his bodyguards and travel using public money. The corruption of Zebari occupied Iraqi media before he was fired. Tim Arango makes no mention of that anywhere in his lousy article. PS Also, if Iran wanted to get rid of him, how come it never did when he was foreign minister? 1) Tim Arango does not know Arabic, and has never studied the Middle East in his life. He has a degree in "American studies". Yet, Mr. Arango tells you in the article what Iraqi TV stations are saying in Arabic. Let me guess: his degree in American studies required him to take courses in Arabic. 2) Tim Arango has no journalistic background in the Middle East: he started his career covering Wall Street. 3) Tim Arango only interviews pro-Saudi and pro-US politicians for the article and is willing to believe anything he is told. 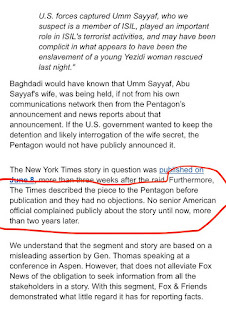 4) Tim Arango does not shy away from reporting rumors if they fit into his propaganda take. More examples of his reporting above this. My weekly article in Al-Akhbar: "Was the 1967 Defeat a Destiny? Zionist Historiography and Schadenfreude (2)". This is unprecedented. Usamah Fawzi has become the star of Arab social media. Fawzi is the publisher and editor of Houston's based, Arab Times, which is a scandal political tabloid which has been publishing for years. It is widely read in the US and mostly in the Arab world because it publishes details of scandals (some real and some less real) about the Arab world especially its rulers. 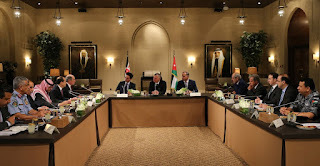 The political orientations of the fellow are not very clear: he is opposed to Arab regimes and is bitterly opposed to Arafat; he attacks the rulers of Jordan but he is soft on the King and his father. He seems closer to the Syrian regime than its opponents and is very opposed to the sons of Zayid (he worked and lived for years in the UAE). Two weeks ago, he started a youtube channel and posts several videos (sometimes per day) on various aspects of Arab politics and even society. I was astonished how successful it has become and how popular. Within days, some Arab intelligence services (he suspects the Saudis) produced this guy to refute what Fawzi says. But the guy is so boring and has nothing to offer, and yet lists tens of thousands of views, which strains reason. Fawzi, on the other hand, while crude and vulgar at times, can be a good story teller and is amusing even if the stories are not necessarily credible (his post about Tall Az-Za`tar for example is not accurate as he places Arab Deterrent Forces in the camp when they came to Lebanon months after the fall of the camp). It is clear that Arab intelligence services are very unhappy about this and will try to silence him--probably in the name of "fighting terrorism". He is always impeccably dressed in the videos and wears a different hat. He is most informed about the UAE and Jordan, but less informed about other places. PS He also believes that the Jordanian monarchy should stay. He says: "I ask God to let me loose on you Netanyahu (he uses the spelling of his name which many Arabs use, which split the name of Netanyahu to add the word "rotten" to it), Amen". [T]he outstanding achievement made by Bush in anti-terrorism absolutely cannot be erased by Kerry's slandering … However much risk must be endured in striking down Saddam Hussein, know that no action would lead to a greater risk. This has been proven by the second world war and September 11! No matter what, the war against Saddam Hussein is just! The decision by President Bush is right! Liu has also one-sidedly praised Israel's stance in the Middle East conflict. He places the blame for the Israel/Palestine conflict on Palestinians, who he regards as "often the provocateurs". Liu has also advocated the total westernisation of China. In a 1988 interview he stated that "to choose westernisation is to choose to be human". He also faulted a television documentary, He Shang, or River Elegy, for not thoroughly criticising Chinese culture and not advocating westernisation enthusiastically enough: "If I were to make this I would show just how wimpy, spineless and fucked-up [weisuo, ruanruo, caodan] the Chinese really are". Liu considered it most unfortunate that his monolingualism bound him in a dialogue with something "very benighted [yumei] and philistine [yongsu]," the Chinese cultural sphere. Harvard researcher Lin Tongqi noted that an early 1990s book by Liu contains "pungent attacks on the Chinese national character". In a well-known statement of 1988, Liu said:"